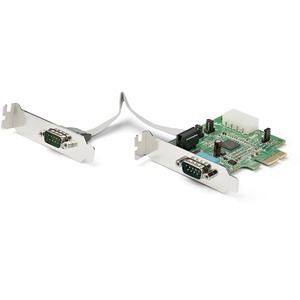 The PEX2S952LP PCI Express Serial Card turns a PCI Express slot into two RS232 (DB9) serial connections. The card is constructed using a native single chip design that lets you harness the full capability offered by PCI Express (PCIe), while reducing the load applied to the CPU by as much as 48% over conventional bridge chip serial cards. 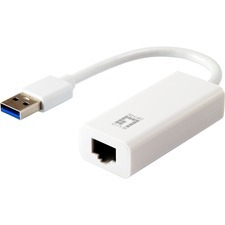 The PCI Express RS232 Serial Adapter Card is compatible with a broad range of operating systems, including Windows 2000/XP/2003/Vista, Linux Kernel 2.6.11 and up, and ships with a low profile bracket installed but includes an optional full profile bracket that lets you add two serial ports to virtually any computer (regardless of the case form factor).